Janeffer Wacheke, co-owner of a fresh-vegetable stall, checks her mobile phone for a purchase order of vegetables and fruits made to Twiga Foods Ltd., while on her stall in Nairobi, Kenya, on June 11, 2018. Wacheke's fresh-vegetable stall in Nairobi uses technology that's helping crack a problem Kenyan banks have so far failed to solve -- measuring the creditworthiness of traders in the country's $20 billion informal economy. One needs to look back at why, and when, Bitcoin and blockchain came into being. It was 2008, post the latest global financial crisis, and there was a feeling that a better system would be needed. One where banks are not fully in control. Satoshi Nakamoto wrote an eight page white paper that introduced the world to blockchain and digital cash, but he also spawned a massive libertarian movement. If Bitcoin and blockchain were catalysed by a financial crisis, and seen as a solution, it should follow that where there is ongoing financial crisis, the digital cash system, with its underlying technology, could be extremely beneficial. It is to this end that many believe that the true worth of this revolutionary technology will be felt in places across the African continent, not necessarily in the modern first world.There are plenty of problems that need solving in Africa. These problems potentially can also be solved with a few key principles that are inherent to blockchain, such as transparency, and decentralization. From elections, to international remittance, as well as energy services and alternatives to banking; Africa has many broken systems that could be fixed by a new technology. It is not even about using blockchain to do a patch-job on the continent, there is a real chance for many African countries to fully embrace blockchain technology even more so than their first world counterparts to become world leaders in this new space. Africa has, through colonisation, been dictated to in terms of its infrastructure, and this has mostly been a failure. But there now exists an opportunity for the continent to build its own technological infrastructure that could leapfrog it forward.However, this ideal is more philosophical than tangible at present. There are a number of limitation to blockchain implementation that the entire globe is feeling, but Africa also brings in its own application issues. So, while the potential abounds, there needs to be a real effort to implement it successfully to make it work. An African historyAfrica was until the 1950s and 60s a predominantly colonised space. In her decolonisation, countries were left to rebuild off a foundation that was mostly used to exploit the land and the people. From city plans to banking infrastructure, Africa was modeled after European structures rather than ones that suited the people and the landscape. As such, banking for example, has been problematic for a big portion of the African population as these financial structures are limited to cities whereas the majority of the population is rural. However, to survive in the globalised world, these banks are needed, especially for people who work outside of their borders and have to send money to family. More so, a lot of the corruption and mismanagement in leadership and government in Africa comes down to a system that is easily corruptible and monopolised. African dictators are common occurrence as there is much room for centralised control and dictatorship, as well as ways and means of distorting democracy. As such, the African continent has been put on the back foot, trying to sustain a system built to exploit its people, and without her own particular needs in mind. Enter blockchainOn a philosophical level, blockchain technology has at its core principles of decentralisation, as well as transparency, and anonymity. It is the two former mentioned principles that really have a lot of application in Africa. Firstly, looking away from the financial side of things, blockchain technology is aimed at taking away intermediaries - and in Africa - there are a number of spaces where intermediaries are corrupt, and inefficient. So, with blockchain, the processes that they can replace can also be made more efficient, and less prone to corruption. It is things like elections that often come up in this instance. Still done with paper, pen and an election box, the system is not only inefficient, it is also highly susceptible to corruption.But there are a number of other instances where blockchain technology can improve matters - such as energy and the power infrastructure across the continent. Andy Li, CEO and Founder of Eloncity, a company that is looking to both greener electricity in Africa, but also decentralised electricity which is controlled by communities, explains how this solution works better than the current set up on the continent“ I am perhaps a bit biased, but I would say energy would be a good start for trying out blockchain in Africa. The infrastructure is missing and there is not much modernised productivity. Many cities in certain countries in Africa have limited energy, preventing them to innovate and grow. Therefore, energy as a shared economy seems to be a good start. ”Li touches on this idea of community - a strong African value which is also prevalent in the blockchain model. Blockchain infrastructure, with its decentralised nature, relies heavily on the community to effect its advancement and how it progresses, and in this case, energy and electricity which is community run rather than by inefficient centralised governmental agencies would be beneficial to the population. 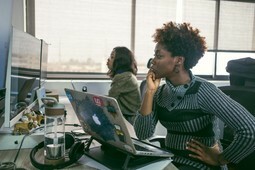 Another view point on Africa’s best use case for blockchain comes from Lorien Gamaroff, CEO of Bankymoon, a blockchain and cryptocurrency consultancy firm in South Africa, as well as Centbee, a cryptocurrency payments and remittance company. Unsurprisingly, he believes the financial benefits of cross-border payments and remittance in cryptocurrency are prime for Africa. “The best use for blockchain in Africa is as a currency for international remittance,” Gamaroff argues. “There is a lot of friction when it comes to cross-border remittances and cryptocurrencies allow for cheap and efficient transfer mechanisms. There is still the issue of regulatory uncertainty and access and so it will depend on companies developing products and ensuring regulators that local KYC and AML obligations are fulfilled. ”Again, Gamaroff also alludes to the issues that are being faced in implementing these blockchain solutions, and a big one will always be regulators regardless of where in the world you are. Both Li and Gamaroff are trying to implement blockchain solutions where they believe they are desperately needed in Africa, but they both attest to a number of difficulties in doing so; some of an African context, and some of a more general blockchain context. Li touches on third-world issues that Africa has when it comes to blockchain application, from something as simple as internet access, which is now mostly taken for granted in the first world. “I believe the most challenging development issue would be the lack of the Internet infrastructure,” Li said. “Most of the connection goes through satellites and the throughput is very limited. This means nodes might have trouble stay synced with the blockchain, and that it would be probably more expensive to mine or run a node independently, rather than in developed countries. ”“Another challenge would be the development itself. Programming a blockchain requires knowledge in cryptography and databases, and there is a huge demand for blockchain developers worldwide. Why should they go to Africa? The ecosystem must be worth their while, and that creates an issue for the future.”For Gamaroff, he sees more traditional blockchain implementation issues within an African context. “Blockchain technology exists largely in a regulatory grey zone. Companies and businesses are reluctant to invest time and resources into research and development because they feel that regulators might retroactively punish them. What is needed is assurance and frameworks provided by regulators before sufficient effort can be invested. "“Additionally, most blockchains are not suited for the use cases for which they are being applied. This is largely due to the issue of scale. Scaling blockchain technology to many users has been difficult. This must be addressed before blockchains can gain wide-scale usefulness. 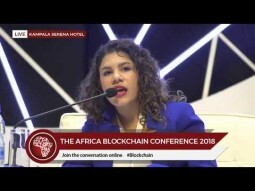 ”Where does Africa stand today?It is clear the potential is there, but with that comes a host of issues in implementation, so where does Africa stand in terms of its blockchain ecosystem currently? It is clearly - not yet - taking off and leading the continent to a technological revolution, but it is neither being left behind and abandoned. “There are a number of companies across Africa that are researching blockchain technology. There are still no implementations that are in full scale production apart from cryptocurrency related initiatives,” Gamaroff explains, going on to point out a potential pitfall in the future. “Many companies that are offering services that leverage blockchain technology are operating outside of existing securities, currency and commodities laws. It is only a matter of time before regulators apply pressure and those business models prove to be unsustainable. If any blockchains are to survive it will be first and foremost due to the application and adoption of a cryptocurrency. Once the currency reaches broad adoption other applications be possible. ”To this end, Li believes that it is important to engage and operate with governments and regulators to be a blockchain solution that can survive the African environment.“While I've heard IBM is conducting research about blockchain in Africa and that Binance has launched a cryptocurrency exchange in Uganda, we are trying to get pilot programs going with the help of governments,” Li said. “We are currently in talks with governments and energy companies in African countries to begin pilots in local communities. We intend, just like in Mexico and California, to build an infrastructure for them to generate their own energy using solar panels or windmills, and sell or to share it across our microgrid, using the blockchain to utilize transactions and have supply meet demand. ”Clearly, the road is a long one for the continent of Africa if it is too embrace blockchain technology. It is all too easy to point to problems and match them with blockchain solutions for the technology is so far reaching, but it is another situation to try and get these solutions to be viable and adopted to any useful scale. Francisco Gimeno - BC Analyst Well, the reflexions on Africa and blockchain are clear. Africa needs blockchain, and blockchain use cases will thrive in that continent. However, challenges, from the infrastructure to skilled employees to government and business´s commitment are huge yet. Use cases and Dapps are yet in an infant position, but the big picture shows us that with time the breakthrough will come. African societies are working to get prepared for it on their own. Kenya is tapping into the technology to ensure transparency and fight corruption, which has hemorrhaged the country, leading to underdevelopment and a sovereign rating downgrade. The state-funded project will be financed by the National Housing Fund under Finance Act 2018. 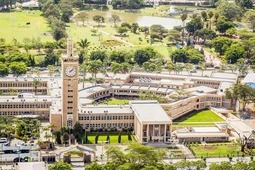 Three percent of the funding will come from borrowing, revenue generated from rental obtained from the current housing stock, employers and employees, and the issuance of securities to investors.Hinga said the government needs to raise Sh6billion ($59.4 million) per month in order to unlock the supply side of projects. Despite the financial constraints, the real challenge in Kenya is corruption by government officials and beneficiaries. Hinga highlighted that the citizens have lost trust in the government because of how it has handled previous projects. Kenya is one of the most corrupt countries in the world, alongside Zimbabwe, Burundi, Somalia, South Sudan, Eritrea, and Libya — all of which have suffered from conflicts or political instability. Blockchain technology can be a solution to Kenya’s (and any other country’s) corruption woes as it is a transparent and immutable ledger of entries that can act as an auditing mechanism. While African countries have taken an overall backseat in adopting blockchain, the technology can help to address some of the challenges facing the continent. In August, Bloomberg reported that Kenya’s Independent Electoral and Boundaries Commission (IEBC) was planning to implement blockchain technology in its voting process. This, given the history of Kenya’s disputed elections that have led to violence and deaths, it could be a huge leap in increasing the efficiency of Kenya’s elections. IEBC’s plan, as expected, received support from the Blockchain Association of Kenya. Early this year, Cabinet Secretary for Information and Communication Technology Joe Mucheru said that he was setting up a task force within his ministry to study how the technology can be used to improve transparency in both the public and private sectors. Francisco Gimeno - BC Analyst Kenya is one of the African countries leading the blockchain way. Its experiments on use cases (like this one promoted by the government) will be very useful to see how to implement blockchain in different sectors and eradicate corruption, save money and time, and empower the citizens. We should follow this use case in time. The report looks at the first quarter 2018 activity across the continent. It also notes that African fintech start-ups have been the most attractive for funding flowing into African tech start-ups.It details that “Kenya’s crypto exchange platform SureRemit raised $7 million in an ICO” during the first half of 2018 while “South Africa’s The Sun Exchange launched a $5 million ICO”. Francisco Gimeno - BC Analyst Africa is not sleeping anymore, and is giving timid but sure steps to be in the digital revolution. Starting with cryptos in some African countries, fighting against regulations which are, if lucky, just difficult, in some cases worse. These countries are the African hubs where others will see that a new economy and a new society is possible. South Africa is luring big payers in the crypto ecosystem driven by populous demand. According to data from Google trends, South Africa is the highest ranking country worldwide with interest for Bitcoin. Demand is drawing international exchanges and major asset managers to set up their services in the country. South Africa has a well-established legal framework that governs the financial services’ industry and this is attracting industry leaders. However, while the crypto industry is still growing, regulators are mindful that defining crypto-activities may risk limiting the extent the industry evolves in the region. In April, policymakers and regulators gathered to engage with the industry and identify key considerations, working toward developing a harmonised approach to fintech-driven innovations across the region. One of their key concerns was cryptocurrencies and the government’s role in regulating them. Recent crypto developments in the country include:The established cryptocurrency exchange, Luno, already operates across 40 countries, which also includes South Africa. The exchange allows South Africans to buy Bitcoin and Ethereum directly with rand after a FICA process. SygniaCoin launches, and is expected to be operational by the third quarter of 2018. SygniaCoin is a new exchange platform, run and founded by CEO, Magda Wierzycka. Sygnia’s exchange will give users the option to purchase crypto with Rand and will base their rules and regulations on exchanges in New York. Large international exchanges are also starting to see the potential for adoption across Africa, with Binance set to launch a cryptocurrency-fiat exchange in Uganda. 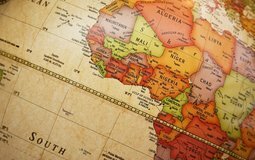 Francisco Gimeno - BC Analyst Crypto exchanges are coming to Africa, and the natural entrance is South Africa, together with Kenya and Uganda in the East, and Nigeria and Ghana to the West. The good thing about South Africa is that they are already exploring harmonised regulations and are open to labs and research, which are going to be very important for the ecosystem's development and evolution. The Intergovernmental FinTech Working Group (IFWG) has released a report on its inaugural market outreach workshop. Held in April, the workshop gave a platform for regulators and policymakers to engage with industry, and to identify key considerations, working toward developing a harmonised approach to FinTech-driven innovations for the benefit of all South Africans. One of the key focuses of the report was cryptocurrencies and government’s role in regulating them. 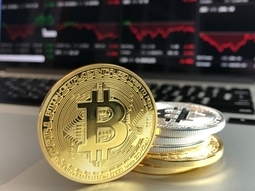 While there seems to be no silver regulatory bullet, there are a few issues that should be considered when thinking about how to regulate cryptocurrencies in South Africa, the report said. Below are the seven key issues that were discussed. How cryptocurrencies and tokens should be classifiedDelegates put forward a view that regulation should consider the activity and purpose of an underlying token. As tokens can perform a multitude of functions, the delegates are of the view that regulators would be ill-advised to regulate the blockchain technology. Delegates discouraged new definitions and new regulation as the technology is evolving at pace and this could make any new piece of regulation obsolete quickly. Advocacy bodies are helping to coordinate the industry and campaign for an aligned view on regulation.Regulation should also be proportional to the risk. Regulators were encouraged to review the possibility of introducing thresholds. “Key operational risks across the cryptocurrency value chain should be identified and solved, including ‘Know Your Customer’, anti-money laundering, and the governance and processes around the conversion between cryptocurrency and fiat currency,” the delegates said. There was immense support for the protection and education of investors.As exchanges were the most common touch-points for public investors in cryptocurrencies and as such, the delegates believed they should be accredited and regulated.It was suggested that a centralised platform, where all ICOs eligible for the South African public could be listed would be a starting point and an opportunity to standardise information flows and create a set of minimum expectations in terms of white papers published, disclosure of key information and source code. The idea of registering all ICOs with a central body was also put forward as a way to monitor the quality and creditability of issuers.Appropriate and purposive regulationDuring the workshop, the fintech firms present were calling for light-touch regulation that is clearly communicated. The South African Revenue Service (SARS) guidance note on the taxation of cryptocurrency earnings was cited as a positive and effective example of communicating a regulatory position. Guidance notes defining what is considered acceptable and not acceptable in terms of ICOs were discussed as a favoured approach going forward. South Africa has a well-established legal framework that governs the financial services industry. The role and impact of cryptocurrencies was discussed in reference to the SARB Act; the National Payment Systems Act; the Banks Act; the Financial Markets Act; the Financial Adivisory and Intermediary Services Act; the Financial Intelligence Act ; tax laws; the Collective Investment Schemes Control Act; and the Companies Act. As such, regulators have two options at their disposal: to either amend existing legislation by changing current definitions to cater for emerging innovation or to create new regulations, the delegates said. Pursuing the former option requires significant coordination among regulators and there is a risk that changes to legal definitions could have material knock-on effects on existing financial instruments, products or services. While the crypto-industry is still budding, defining crypto-activities may risk limiting the extent of the regulation as the technology evolves.Creating an altogether new piece of regulation aimed at start-ups or fintechs also risks creating a potential un-level regulatory playing field where existing or incumbent players involved in similar financial activities (perhaps using different instruments) are subject to more onerous regulation. Some delegates at the workshop were of the view that the existing regulatory framework could sufficiently meet the needs of the cryptocurrency industry. Regulators did, however, clarify that they needed to understand what they were trying to regulate, whether and how a fintech activity was covered in existing regulation, and where any regulatory adjustments were needed. Delegates also noted that these needs could be clarified through position papers or guidance notes on particular subjects. Beyond crypto-assetsThe application of blockchain technology in the wider financial services market and the impact of incumbent banks was also discussed. 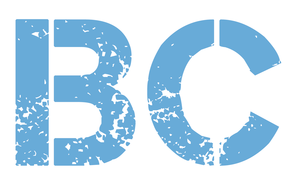 The South African Financial Blockchain Consortium (SAFBC) articulated some of the benefits of developing a blockchain ecosystem. These include improved convenience and efficiency, a decrease in the cost of transfers, and safety and privacy protection. The importance of perspective and balance – is this time different? Cryptocurrencies are often promoted as a way to transform financial services as it is known, as a way to improve inclusion and provide access to finance to the millions that are excluded.However, an important question debated at the workshop included whether cryptocurrencies were an answer to financial inclusion? In providing some perspective to this question, workshop delegates were reminded that throughout history, whenever regulation is decreased or is not present, novel institutions and instruments emerge. A speaker noted that following the 2008 financial crisis, Basel III imposed additional costs on banks and possibly led to lowered intermediation activities. Francisco Gimeno - BC Analyst South Africa has been always the mirror where other African countries look. These discussions here will be also considered, no doubt, by other African governments and fintech sector. Very nice to see the soft approach to blockchain and crypto regulations, stating that regulations must exist only to protect the investors and people, but the rest should be covered or regulated through the already existent regulation. Africa is awakening.